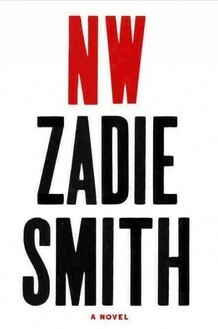 All this week at The New School, I’ve been attending a seminar on Zadie Smith’s novel NW. Last night Smith herself attended. She read generously and entertainingly from the novel and then spent the rest of the evening discussing the process of writing it. She discussed the craft of fiction (esp. dialogue, setting, and character); the current literary landscape; representing identities not the writer’s own; being a parent and a writer; writing to one’s strengths; the genius of Roald Dahl; the talent of Judy Blume and Stephen King; and the name on everyone’s lips: Karl Ove Knausgaard , whom she’s interviewing tonight at McNally Jackson in NYC. It was a great evening, and I’m so grateful to my kind and brilliant colleague Andrew Zornoza who led the class marvelously, and to Laura Cronk and Lori Lynn Turner, who organized the entire Summer Writers Colony, offered every summer by The New School’s School of Writing. Although the event was a private class, I’m posting this wonderful video of Smith giving the commencement address last week at The New School’s graduation ceremony. Enjoy.